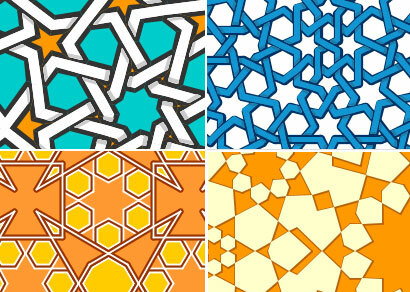 A few sample tiling patterns generated by the applet are shown below. Also, you can design your own tilings with predefined templates, select and modify an existing design, or start completely from scratch. 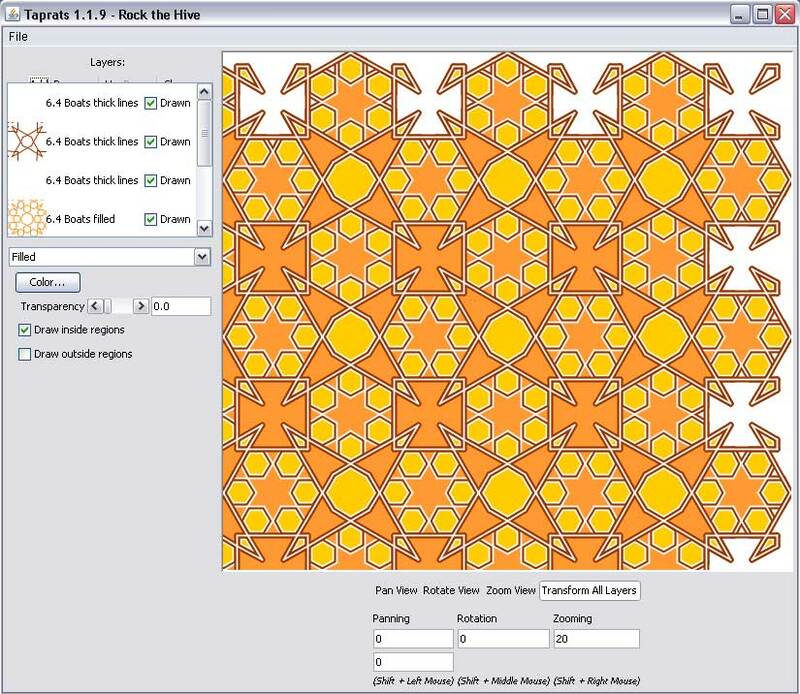 As I said before, I stumbled on this elegant piece of software while I was reading over the wonderful book on the subject – Tilings and Patterns by Branko Grunbaum and G. C. Shephard. This is the definitive book on tilings and geometric patterns. I’ve have with me a 1990 edition of the book, currently out of print, but a paperbark is scheduled to be released around April 2013. 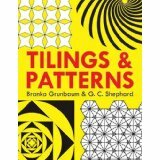 So if you are anywhere interested in geometric patterns or tilings, this is the book to get. This is a little mathematical, but nothing that some high-school Algebra or Trigonometry cannot handle. I myself ‘m not a designer, but if you are, this is a wonderful piece of software to work with.